What Happened After the Ice Melted? 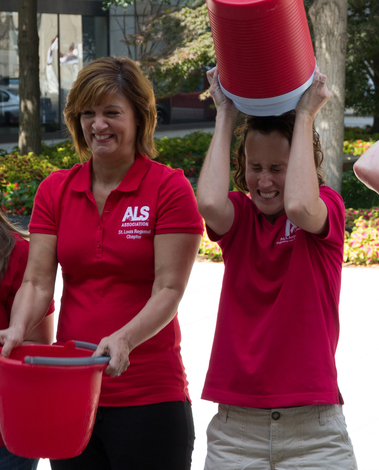 In the summer of 2014, The ALS Ice Bucket Challenge dominated social media news feeds and raised over 100 million dollars for The ALS Association. Five years later, The ALS Association St. Louis Regional Chapter's Director of Development, Katie McGovern, and Director of Marketing and Communications, Sandra Sullivan, revisit the circumstances surrounding the "largest viral social media movement" the nonprofit sector has ever seen and share lessons learned about fundraising, donor retention, corporate partnerships, mission awareness and whether it's possible to capture lightning in a bottle twice. Sandra Sullivan is a nonprofit communications professional with more than 15 years' experience driving marketing strategy and creating innovative campaigns to increase awareness and engagement. As the director of marketing and communications at The ALS Association St. Louis Regional Chapter since 2014, she is responsible for developing and implementing key marketing and communications initiatives, including the organization's case for support, web marketing, brand awareness and social media engagement. Sandra has received numerous awards for her creative approach to communicating donor impact and contributes regularly to the Association's nationwide campaigns. Sandra holds a B.A. in English from Webster University, an M.A. in Nonprofit Management from Washington University in St. Louis, and is a graduate of FOCUS St. Louis 2017 CORO Women in Leadership program. Katie McGovern is a nonprofit professional with 15 years' experience in development, communications and volunteer and staff management. Katie currently serves as the Director of Development at the ALS Association St. Louis Regional Chapter and is responsible for overseeing and participating in all fundraising activity, and collaborating closely with a leadership team to enhance organization-wide initiatives. Under her leadership, the Chapter's individual contributions have increased 225% over the past six years. Katie is a member of the Association of Fundraising Professionals (AFP) and has served on various professional committees. She has presented on local and national platforms on various fundraising topics, including donor stewardship, building the donor pipeline, growing mid-level donors and the effects of the Ice Bucket Challenge. She has received awards for her leadership, including Mentor of the Year from the Young Nonprofit Professionals Network (YNPN).